This page is a kind of log to keep track of any boat related stuff I’m doing. 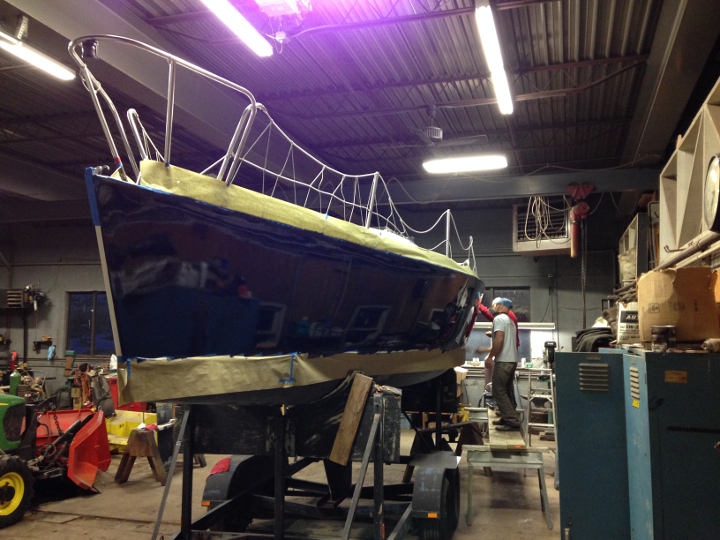 Around the first week of the month of July my dad asked, “How’d you like an Evelyn sailboat?”. 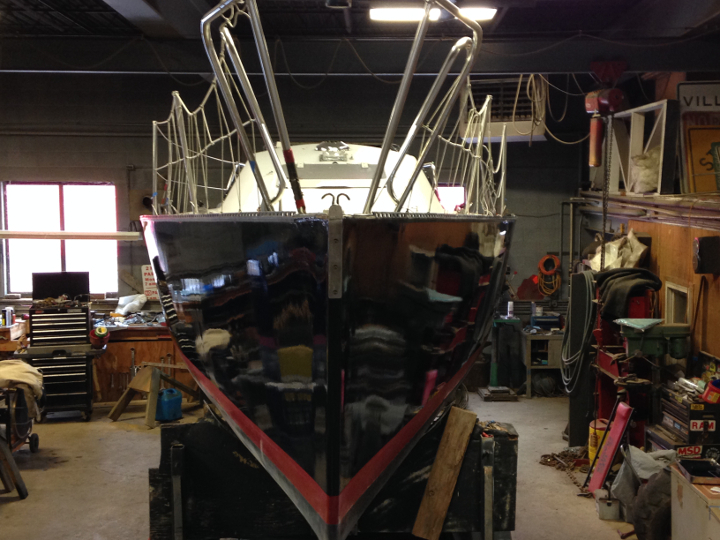 He went into some detail about an Evelyn that had been sitting at Oak Orchard Yacht Club. 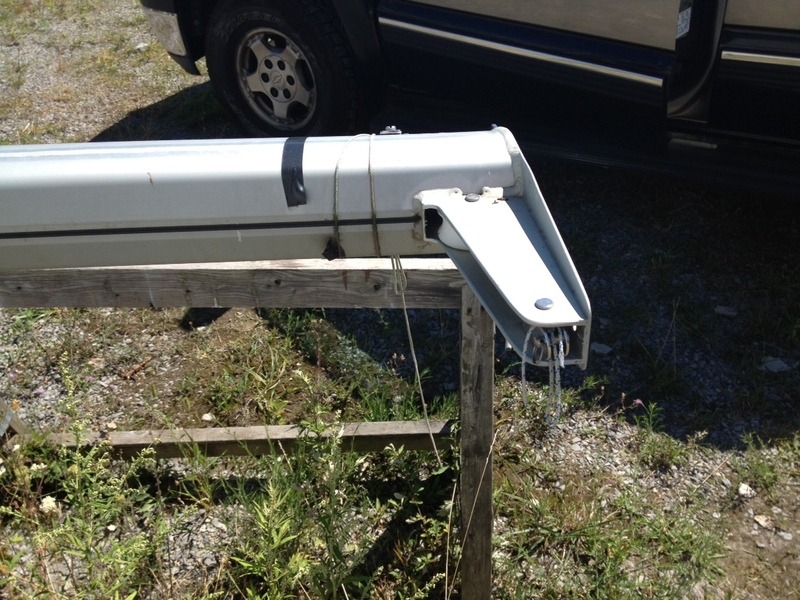 It was donated to the club after it the mast was broken in-two by a falling limb a couple years earlier. It had been sitting on its trailer – kind of forlorned. I had noticed it, but not given it much though because I wasn’t in the market for a boat. 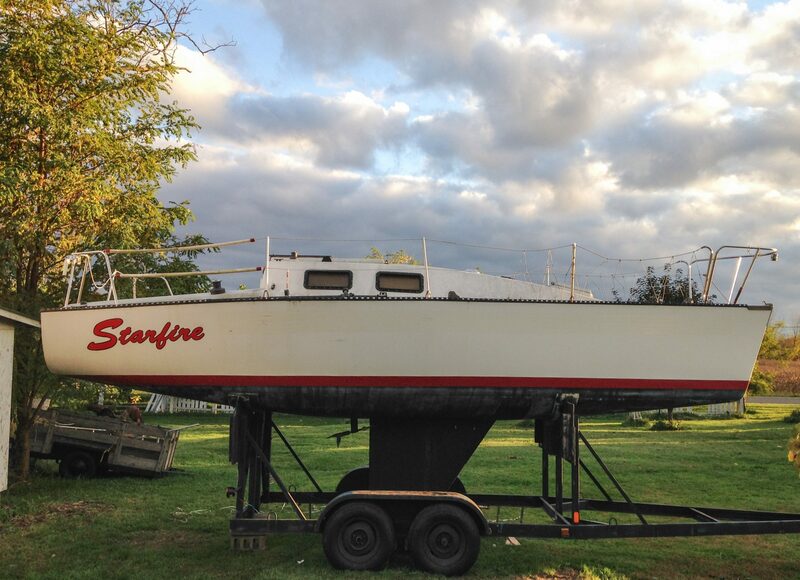 I though the Youth Sailing program might sell it to raise some funds for fleet maintenance or something or other. After some negotiation with the previous owner I was now the proud owner of an Evelyn 26. If you raced on the East Coast in the 70s or the 80s or the 90s, you undoubtedly sailed on or against one or more of Bob Evelyns pocket racers, and you most likely saw a lot of their transoms. The Evelyn 26 was built for speed. Set up with the racing necessities, a bendy mast with adjustable backstay, mainsheet tweakers, boom vang and cunningham, this large driving mainsail, fractional rig has plenty of drive for a fast boat with a fin keel and outboard rudder. 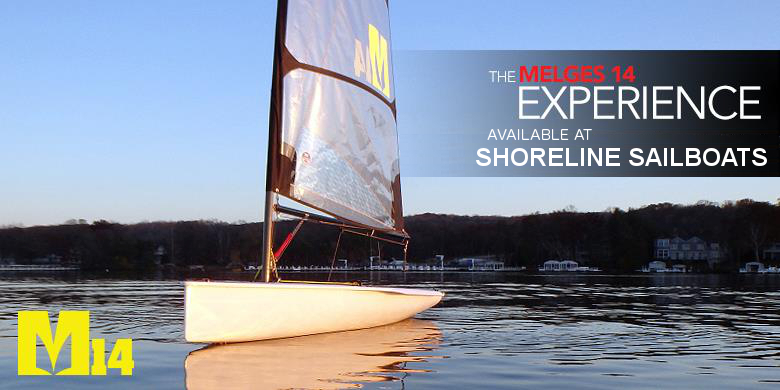 The big beam stretches out the water line and gives a stable platform for those exhilarating beam spinnaker reaches. 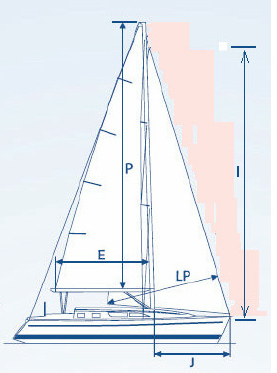 A light air witch, the Evelyn 26 also has the ballast and displacement to stand up to 30 knots of breeze. Impressively able to point with her high aspect main, she also flies off the wind with her oversize chute. However, unlike many of the new designs, it has a sensible cockpit for a day sail, and a wonderfully open living area below with 5’10″ head room. Trying to make some decisions about the mast. There is, reportedly, a replacement mast at RCR that could be retrofitted and shortened to replace the broken mast on SKYLARK. But, it may be a bit beefy for the boat. 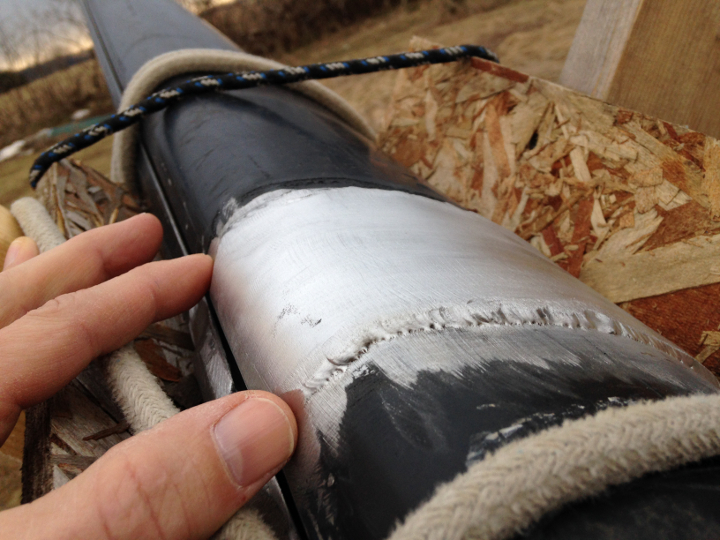 There is also the labor intensive replacement of all the rigging into the correct positions. And, as of yet I do not know what sails may be left to fit the Evelyn. Brought the boat home from Oak Orchard at 5:30 am to beat any of the good guys that might want to ask me questions about my plate or load width. No problems going about 45 mph. With the hair dryer I was able to get the stripe off pretty easily. 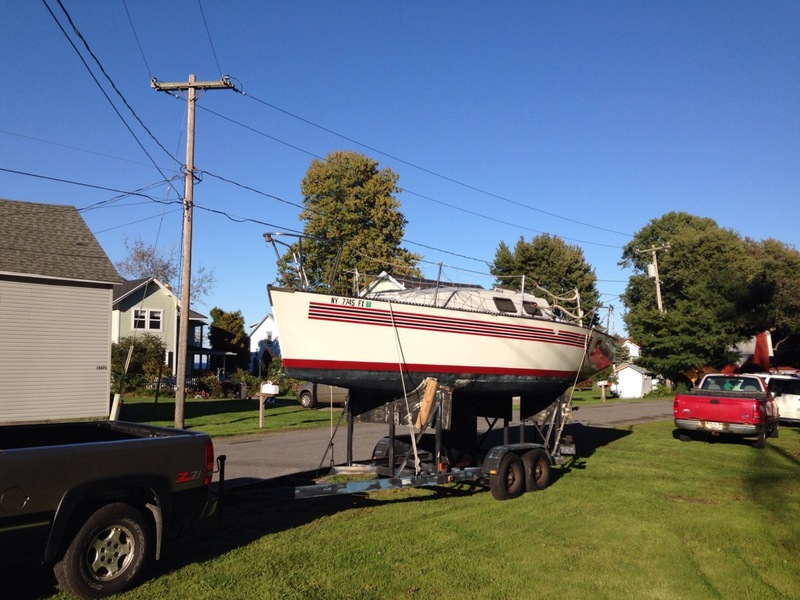 “The boat sat for 17 years prior to me buy her. Consequently there where plenty of leaks. 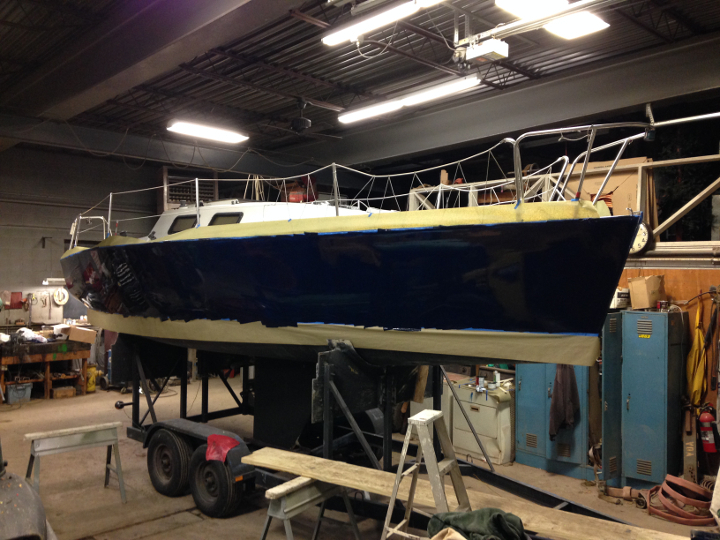 The first round of work which took 5 months consisted of striping the boat bare. Everything came off the deck including the toe rails, everything. There was a total of 8 feet of hull to deck joint that needed to be resealed. 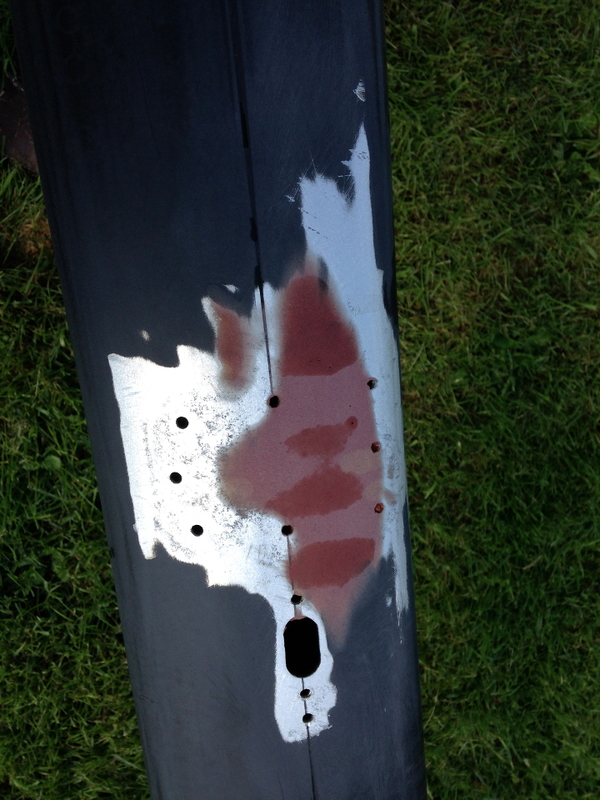 Every piece of hardware was either re-bedded or upgraded and every nut and bolt replaced. I think I was getting weekly shipments from McMaster-Carr. The head liner was toast. Although it was a big job to remove, it was worth it. Over the next few winters we tackled a few other big projects. 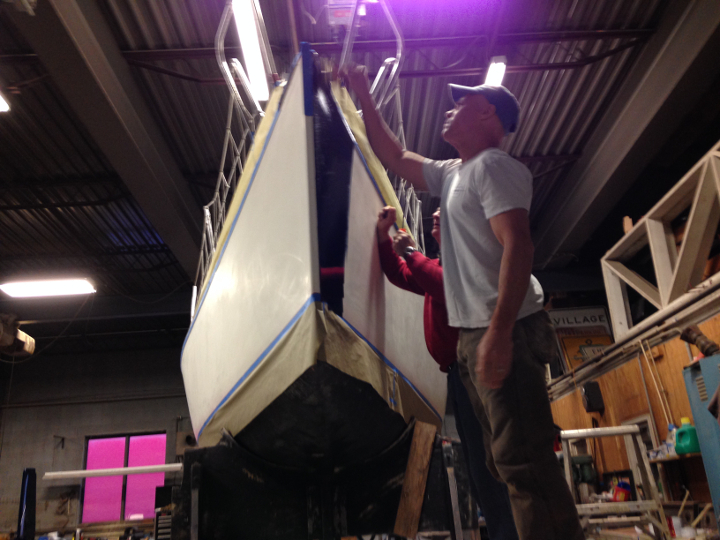 They include: rebuilding the partners, rebuilding the mast step, adding a grid around the mast step, adding a keel sump grid, adding running backstays, rebuilding the companionway hatch, replacing the port lights with 1/4 polycarbonate, moving the genoa track inboard, repairing keel blowouts, full rewire, and many little changes. 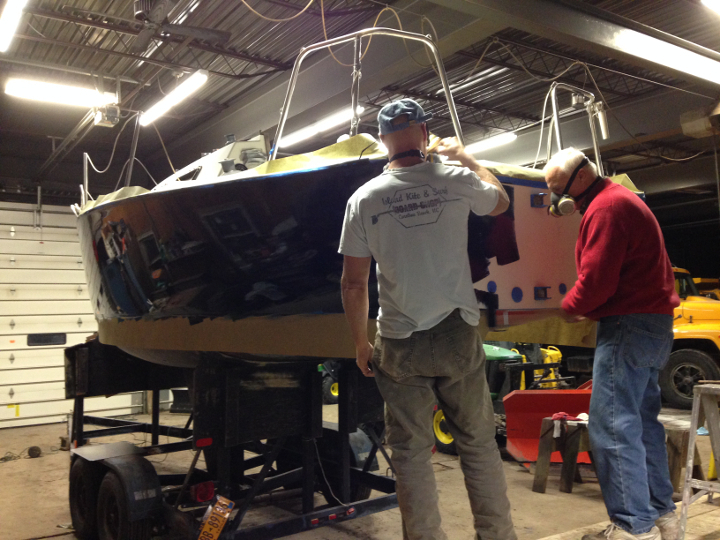 The boat came yellow and after meeting Bob Evelyn and Donzo Wilkinson I found out that my boat had been a custom order from the factory to be yellow and that Donzo remembered building my boat. After that I couldn’t change the color. Of course, what else to you name a little yellow boat. 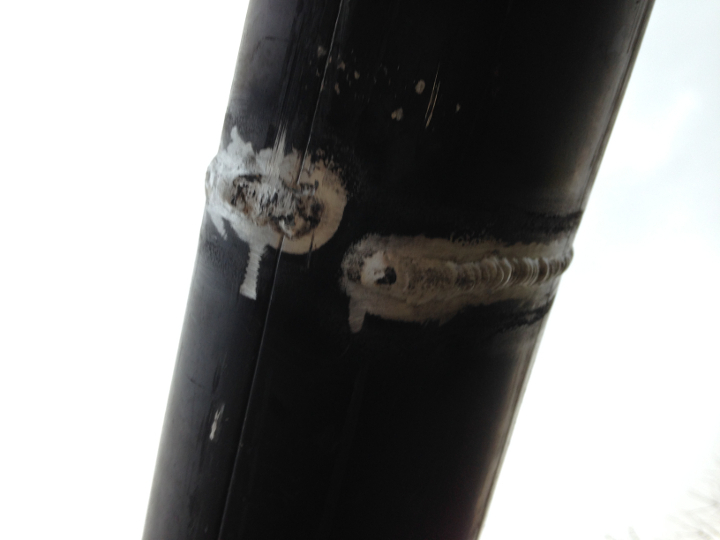 Welded sleeve around worst of breaks. 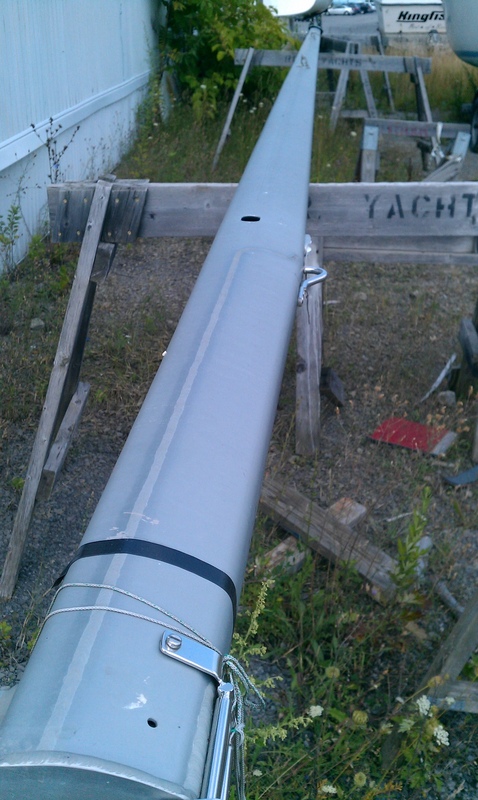 I got the boat in the water late because I was fitting the mast back together from parts that were dumped in a box. 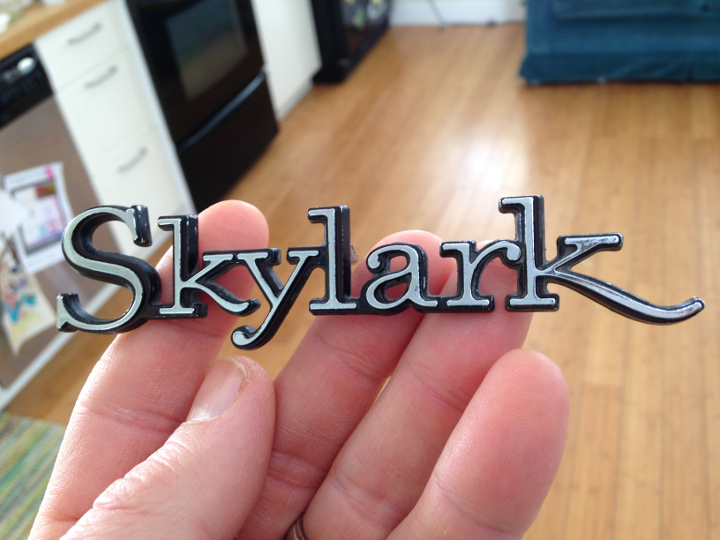 I had to get some stainless pop-rivets and a good gun because those things are tough to squeeze. The mast went up very nicely. I was going to practice sailing, but the fog rolled in and made it pretty much a bad idea to go out in my untested boat. Well, the next day was a 22 mile long distance cup race called the HENRI CUP out of Oak Orchard Yacht Club. I took my friend, Dad, brother, and brother in law along as crew. It was an 11 boat fleet. We beat everyone scratch… What a day. Coming in from the win the oil line to the engine parted sending the contents of the diesel engine oil into the bilge. Not good. A real mess. 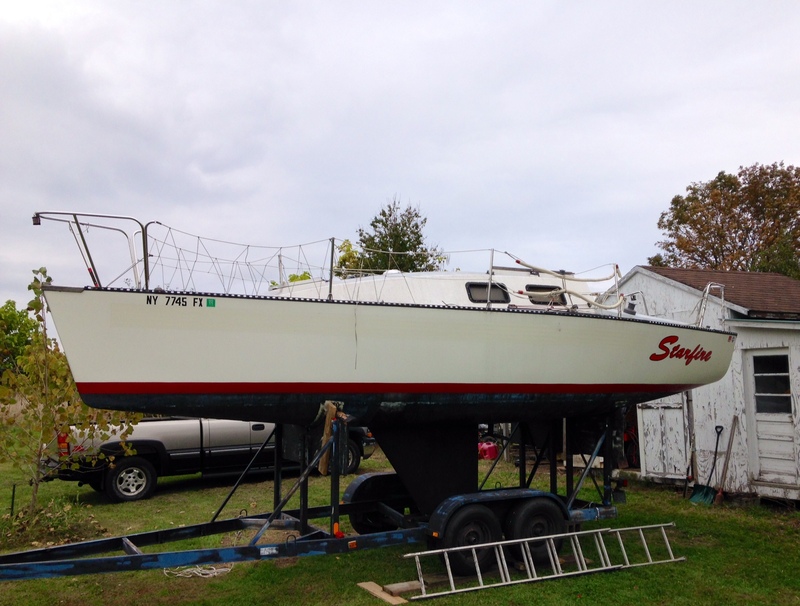 My sailboat previous to the Evelyn, was a San Juan 24. It was named “Starfire”. We were quite successful with that pinched end, difficult to sail 1/4 tonner. The name became our identity in Long Island Sound, plus the crew liked the name. …..you might be able to make out the evelyn/formula yachts logo just aft of starfire. I removed that logo. Thanks for this photo. I’ll add it to the historic record of Starfire. Really nice to piece as much together as I can. Did you name the boat? Was there a story to the name Starfire? Wow! Rick, what a great story. STAREFIRE seemed pretty special even when she was in our yacht club’s back lot moldering under pine trees. 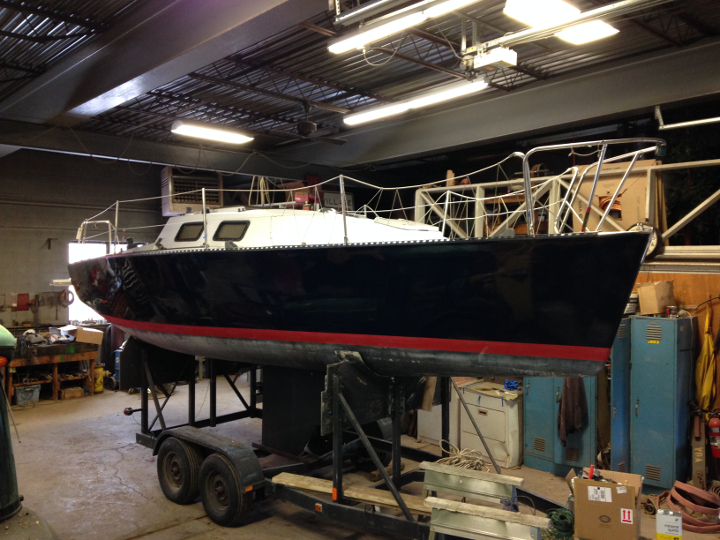 Perry Moore was the 2nd owner and thought the boat was the last E26 built. Is that possible?. …..some E26 OD’s were built after STARFIRE. I think two. The new E25 and E32’s took priority. From what I recall the E25’s PHRF was 150, and there was no way I could stay with them. That was the hull all the racers wanted. The engine is your original Yanmar. Thanks for the backstory to the boat. I really love her. 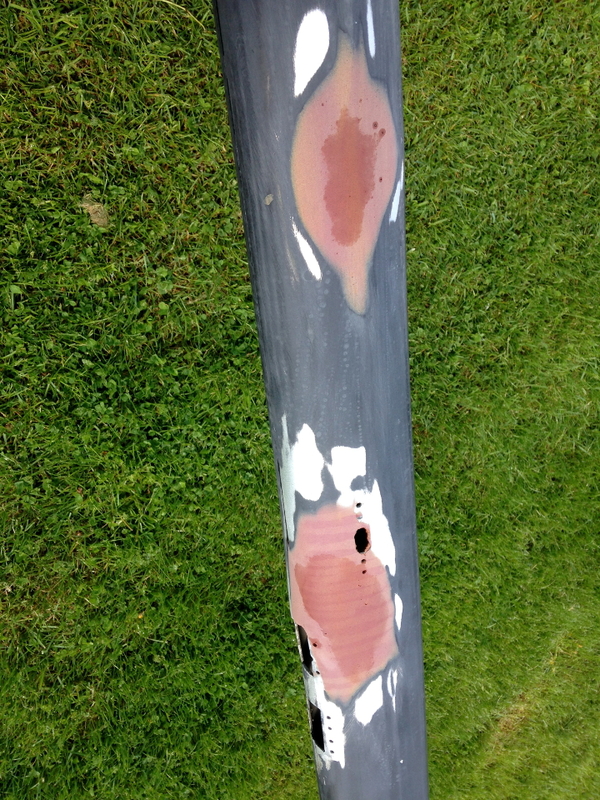 The repaired mast was my big concern on my first race, but the oil lines on the Yanmar rusted through and dumped black diesel engine oil in the bulge on the way back in. I came in 1st but had an oily mess to clean up. The Bob Evelyn story has never been shared anyplace I can find. Do you think it would be possible to contact Bob for an interview about Formula Yachts and his winning designs? I would love to speak with him about it and share his story. ….After his dear wife Sally passed around 1990, Bob shut the business down and gave the assets to a couple of longtime employees. They ran a repair service in Old Mystic, Ct. You can still see some of the abandoned molds on a property along CT184. ….Sally was his business partner and actually ran the business. …..I didn’t see Bob out on the water much after that. The last time I met him was in 1999, he was retired and wasn’t racing. Most of his racing prior to that was as crew for friends. He rarely entered a boat in races. Way back, pre-1982 he campaigned a MORC boat he designed, and in the 80’s helmed a E42 in a couple of Bermuda races. “STAINLESS” was one of 2 or 3 he built. It was about that time that Sally passed. Sally was a national level J24 sailor. …..His design skills and superior knowledge of hull shapes and NACA foils came from years as a design engineer at Electric Boat, the nuclear sub builder. I am guessing he would be in his mid-80’s today. I am not sure where he is these days. His passion was golf. Thanks again for contacting me about STARFIRE. I’m not sure why it is so important to know the lineage of a sailboat, but I’m really glad to know. Last question. Are you still racing today? 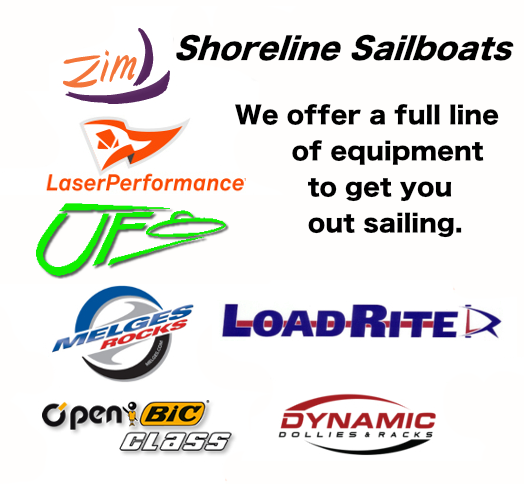 I retired in 2003 and sold my Hobie Alter Laser 28 to a Canadian couple who trailer/race one design on th Great Lakes. The E26 was so dominant in my clubs PHRF 160-190 class, it wasn’t a challenge. 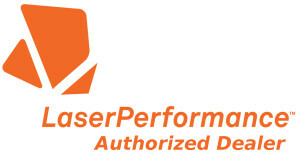 The Laser had a PHRF of 127, and raced against other PHRF 100-140 boats. Back then my club had six classes and 80 boats for the Wednesday night races. Now about half that. I occaisionally trim on a Baltic 43 today. I am 100% sure I am the original owner. Bob built the custom 26 for me. 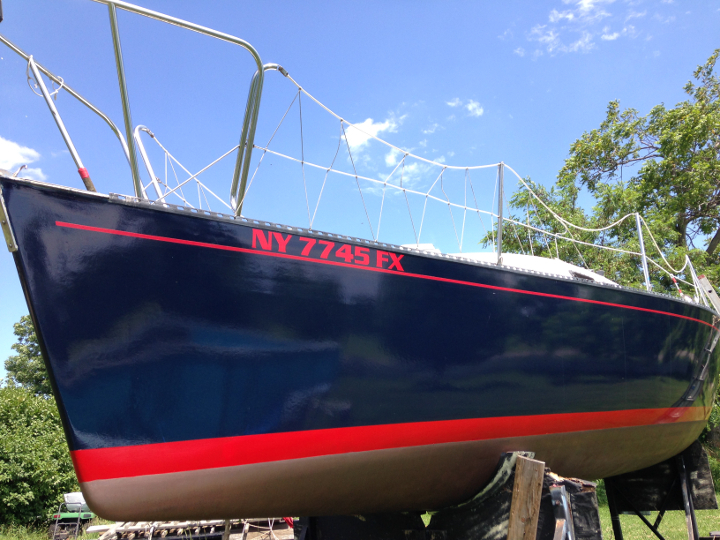 As built, she had a single cylinder Yanmar, on the keel, and a black fractional rig. I did 66 PHRF races out of Duck Island Y.C., and took hardware in 62. The photo in your video showing the three stripes [bow left] was how the boat looked in 1984. As far as I know, Starfire was the only one they built like this. She was cored, I think with Klegcell, and when weighed, she was three hundred pounds under spec. 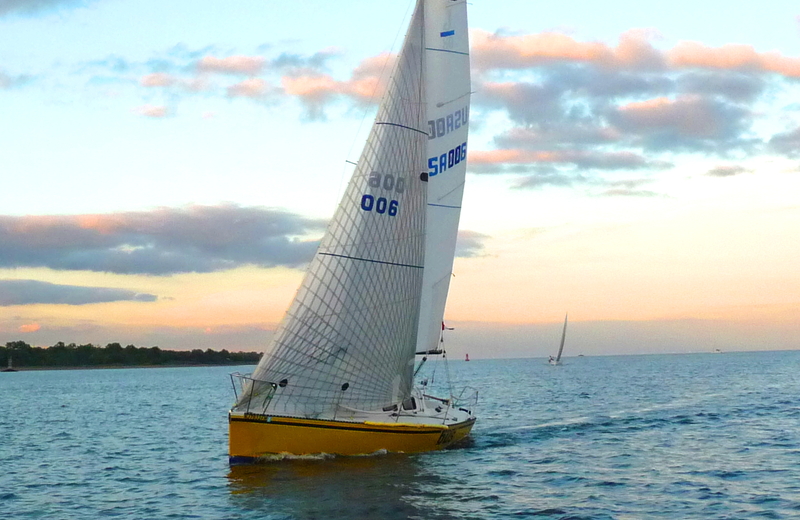 A rule beater with a PHRF of 167 at that time. 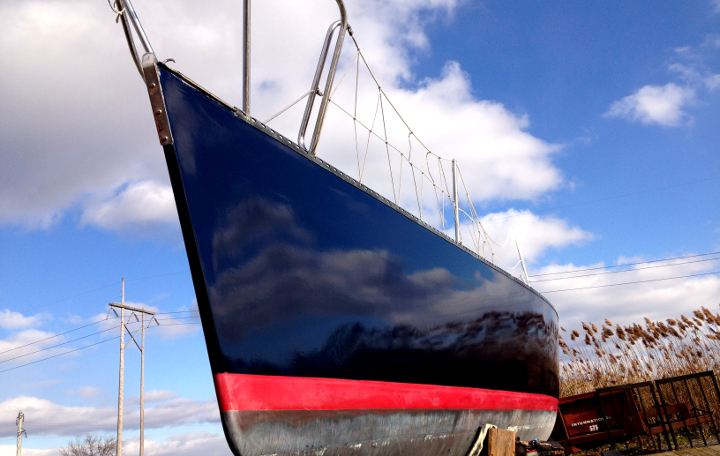 …..I sold it to the fellow in Hingham, I think in 1988 through Eastland Yachts in Essex. 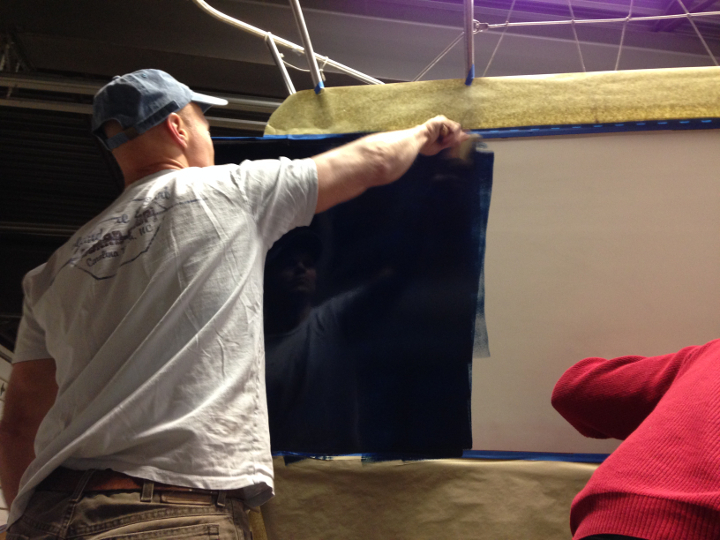 …..Bob’s memory is a little fuzzy as to the original color. The photo I mentioned is as she was delivered to me in May 1984 at Pilot’s Point in Westbrook. Enjoy!